On a chilly January morning my husband, Logan, and I woke up early and enjoyed a cup of coffee in our cozy room at the Inn at Mount Shasta. After sleeping soundly, we felt refreshed and ready to explore the sights. However, we weren’t sure where to start because there were many places we wanted to visit like the Sacramento Headwaters, the Mount Shasta Gateway Peace Garden, crystal shops, and more. We also wanted to take advantage of the weather. Earlier in the morning, it was snowy and rainy, but the snow wasn’t sticking to the ground, which made driving conditions ideal. After talking about our options, we decided to go snowshoeing at Castle Lake. 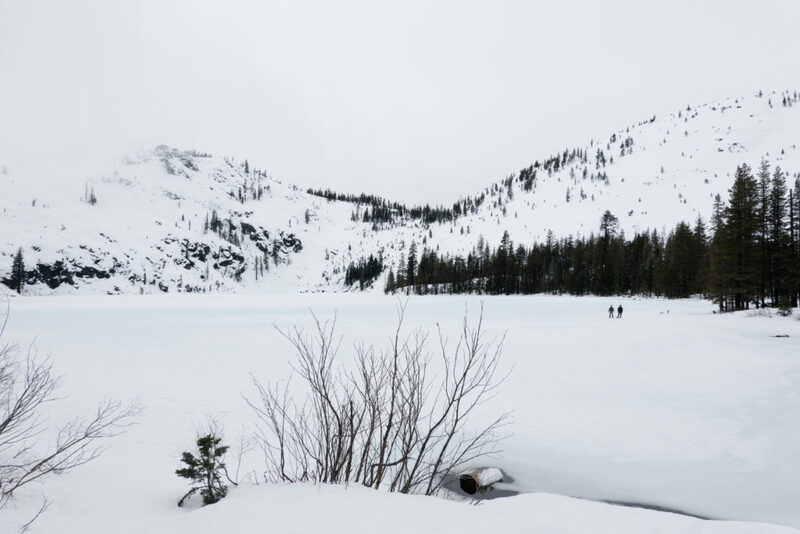 The road to the lake was open, and seeing Castle Lake in the winter had been on my adventure list for a few years. We were both excited to play in the snow! 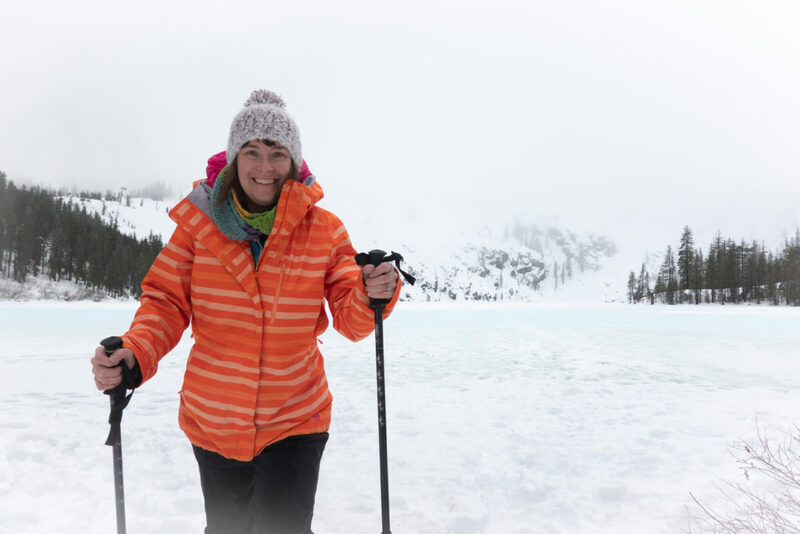 Before leaving the Inn, we put snacks and water in the car and made sure we had our snowshoes, boots, and extra layers of clothes, and then we drove to the lake. I love the drive to Castle Lake because tall trees line the road, and when you reach the top of the hill, you can see Mount Shasta on a clear day. We didn’t take a dip in the water because it was cold and frozen, so I don’t know if Castle Lake has healing powers. However, being at the lake cleared my mind. Also, turning off my smartphone and being in tune with my surroundings helped me de-stress. For instance, I loved watching the clouds glide across the lake, and I even caught a glimpse of an otter on the shoreline! If you need quiet time or want to see amazing views, visit Castle Lake on your next trip to Siskiyou! Fun Facts: One of the fun things about traveling is researching a location before you visit because it gives the place context and learning is fun! Also, when you walk—or snowshoe—around Castle lake you’ll discover a research station. It’s home to the Castle Lake Environmental Research and Education Program. It was established in 1959 by Dr. Charles Goldman at the University of California, Davis. According to the aquatics lab, the program is one of the “longest running, mountain lake research programs in the Americas” and it has trained over 700 undergraduate students in laboratory methods and data analysis. Driving Conditions: Before you drive to Siskiyou or head out for a snowshoeing excursion, make sure you check the road conditions. Also, preparing for your drive is a must do! If you need help, read The Ultimate Car Kit for Winter Driving in Siskiyou. The post is full of useful tips and tools. Directions: The Mount Shasta Trail Association has driving directions to the lake on their website. Arrive Early: We arrived at Castle Lake around 9.30 am and left by 1 pm to see other sites. In the early morning, the lake was quiet. By the time we left, the small parking lot near the lake was full, and as we drove toward Mount Shasta, more vehicles were going toward the lake. Lodging: On our trip, we stayed at the Inn at Mount Shasta. It’s a sweet place to stay, and affordable. The Cold Creek Inn is another great option (I stayed there in December). Both properties are within walking distance of downtown Mount Shasta, and great places to begin your Siskiyou adventures. Good Eats, Rentals & More: Our post-snowshoeing brunch at Lilys was delightful. I savored the meal, along with a hot cup of tea. If you’re looking for additional dining recommendations, I shared a detailed travel itinerary about our trip a few weeks ago. 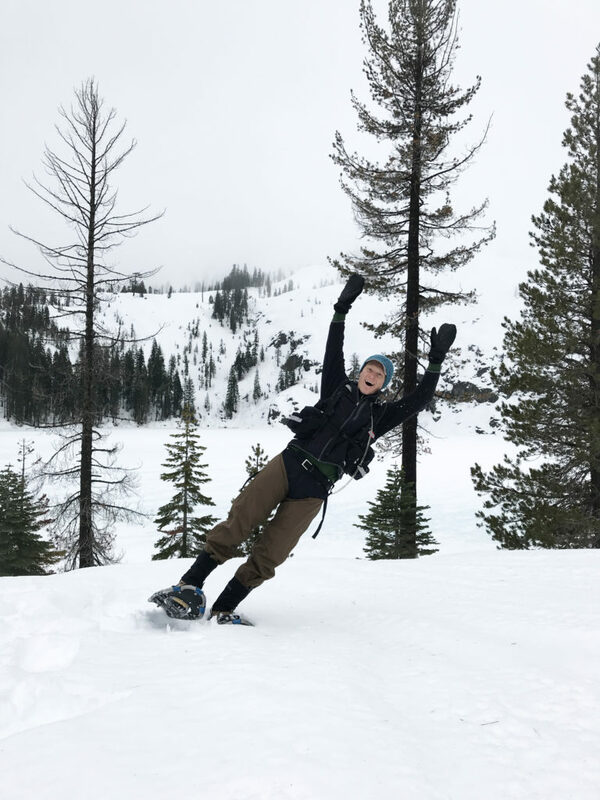 In the piece, I talked about some of our favorite places to eat in Mount Shasta, as well as were to rent snowshoes. Read the essay here. Other Snowshoeing Options: The Mt. 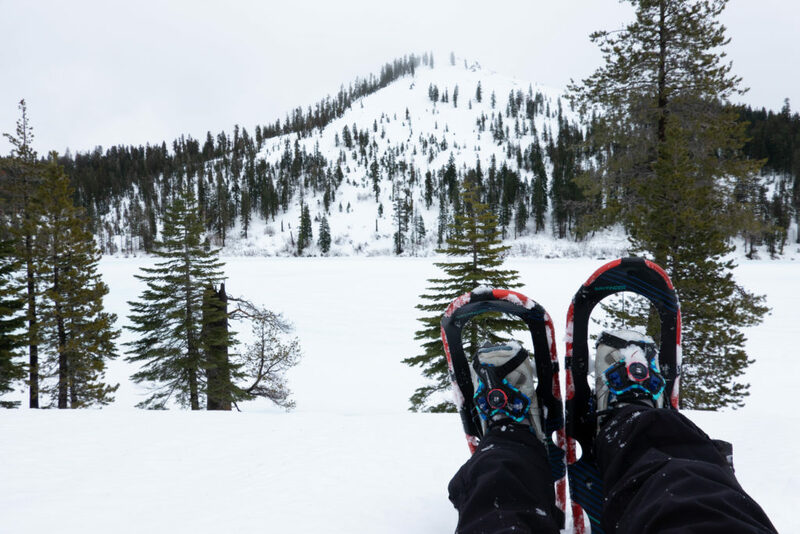 Shasta Nordic Center is another excellent place to snowshoe in Siskiyou. If you prefer cross-country skiing, the center is a great place to glide down the slopes!